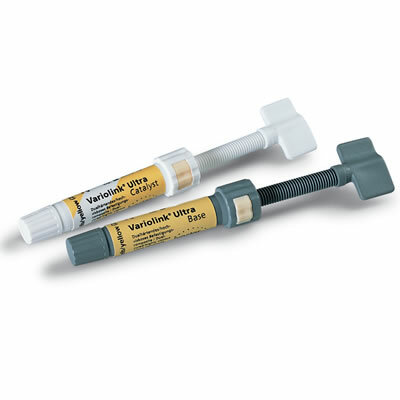 Variolink Ultra | Ivoclar Vivadent Inc.
Variolink Ultra is indicated for adhesive luting of ceramic, composite, and Ceromer/FRC restorations in conjunction with the ultrasonic insertion technique. According to the manufacturer, this fluoride-releasing composite has excellent radiopacity and a high wear resistance. The material's high viscosity ensures easy removal excess. Variolink Ultra is available in a Yellow/universal (210/A3) shade.